... and knowing how shadows (and rainbows) can disappear in an instant, I ran to get my camera so I could share them with you. For more posts featuring the luscious color pink, be sure to visit Beverly at How Sweet the Sound to see her Pink Saturday post and to visit all the other pink loving bloggers participating today! That's what I call capturing a moment in time. So pretty! 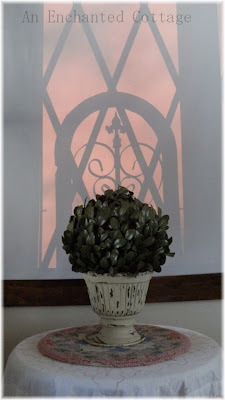 Love the whole idea of pink shadows, Donna! Lovely Pink Saturday post. Have a great weekend! I had a big smile on my face when I saw your new banner. I LOVE that shot. Though I do love the ones of your kitty too. You really do take nice photos. Catchin' ya early, honey! Those pink shadows are beautiful on the window. I have always loved your little cottage. 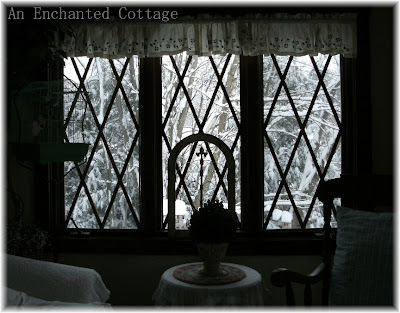 "Enchanted cottage" is what comes to my mind when I see your home. Just darling and very cottage-y, chickee. Wow. That IS pretty! Thanks for sharing these photos! How pretty! Mother Nature is pretty good at staging, isn't she? Beautiful Donna! You do some great photography. I'm always impressed with how your shots turn out. How magnificent and creative to capture pink shadows!! Happy Pink Saturday. Only God can make pink like that! Thanks for sharing. Happy Pink Saturday. Check out my book giveaways! I love the way you captured the shadows with your photographs. 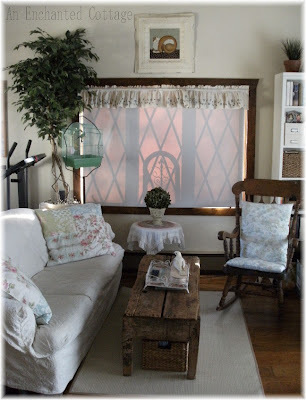 I would say that pink shadow cast on your family room shade is most unusual, love it! Love the pink shadow and your pretty room! So beautiful. Very creative post. I am so envious of your diamond paned windows, I have always LOVED them, lucky you. Have a Pink filled day! WAY to find Pink! Thank you for sharing! Beautiful shadow! So lovely with the planter! Such pretty pink shadows. Oh, when I think of New England, I think of picturesque villages, quaint main streets, fall leaves. But I know you guys get hammered in snow. So I hope you see spring soon in your neck of the woods. Beautiful! What a clever idea for pink Saturday! I am so impressed with your Pink shadows. Have a wonderful week-end. What a clever pic and post on pink! (We did have snow today in VT.) Happy Pink Saturday! Lovely pink shadows. 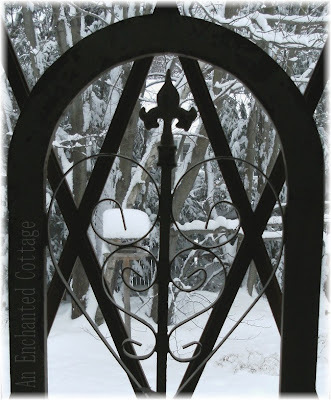 And that's a cool architectural element. Yes, I am happy too that the snow has finally melted. Do you remember that April Fools Day blizzard a while back? My ice scraper is still in the car..just in case! really lovely windows, your hotos are great! What a great photo, it looks so magical! I love the early morning light; makes everything look special, doesn't it?